From the moment you realize just what it means to get married, you dream of your gown. From the time you’re a little girl, you imagine what you will look like on your wedding day. You might change your mind a time or to – or ten – but the thought of your gown will cross your mind more than once. Every wedding you attend, every bride you see, and every gown you encounter will make you think how might look when you exchange vows with the man of your dreams. Perhaps you’ll go for a fairy-tale princess look, or maybe you’re a romantic type who prefers something a little boho luxe. You could be the kind of bride who prefers something dreamy and lovely, or a traditional bride who wants her gown perfect, her something borrowed, and her something blue. Whatever you prefer, you will shine on your wedding day. You will stun the crowd who comes to see you wed, and your future husband will greet you with tears in his eyes as you walk down the aisle in the dress that was made just for you. You’ll wear the gown with pride all day, and you’ll feel a momentary moment of sadness when it’s time to take it off. This is the dress you’ve spent your life dreaming of, and you’ll never wear it again. What now? Do you just stick it back in its garment bag in the back of a closet, store it in the attic in a box, or forget about it? You spent so much time thinking about it, so many hours trying it on, and so much money to make it yours. You owe it to yourself to preserve your beautiful gown for years to come. You might not know now what you will do with it, but one day an idea so lovely will hit you, you’ll be glad you chose to preserve your gown just for this moment. If you’re still not convinced you want to preserve your gown, let us help you make the decision. Your fears, concerns, and worries are about to be debunked, removed, and altered so you understand just how important it is to preserve the dress of your dreams. Our favorite 10 reasons to preserve your wedding gown following your wedding will have you making arrangements for our preservation services before the day is over. The process of preserving your wedding gown is a delicate one. The benefit, however, is worthwhile. 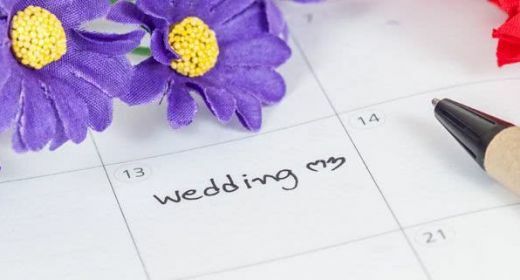 When you allow us to help you with your preservation, you not only clean the dress of all the stains and spills it might have handled on your wedding day, you also prevent any future damage from occurring. By storing your dress yourself, you aren’t going to get the same quality. It runs the risk of being damaged by water or moisture that gets into your garment bag, by little hands at home if the kids find it, and by the elements as a whole. With our state-of-the art preservation system, this is not a problem. 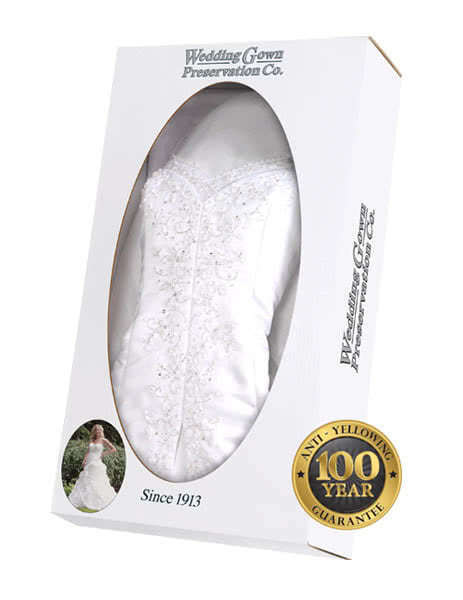 We not only clean your dress, we also store it in a preservation box that prevents the elements from ever reaching your gown. This provides you with the peace of mind that your dress is protected from anything that might happen for years to come. Perhaps you’ve yet to have the pleasure of welcoming children in your new marriage, but you very well might at some point. When this day comes, you might imagine your little girl walking down the aisle on her very own wedding day wearing the dress you wore on yours. It might seem silly and outdated, but it’s not. Your dress might be what she wants to wear. Vintage gowns are more than a little popular, and a truly timeless gown lasts decades. If your gown is designer, timeless, and sentimental, your daughter might want to wear it. She might not, of course, but the idea she might one day wear your gown down the aisle is touching. 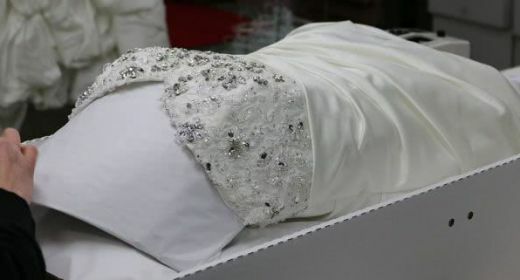 If she decides this is something she wants to do, now is the time to look into wedding dress preservation for her so she may have that option. At least you’ll spend the rest of her life knowing you gave this option to her by preserving your gown in case she decides it’s what she wants. Let’s be honest here. 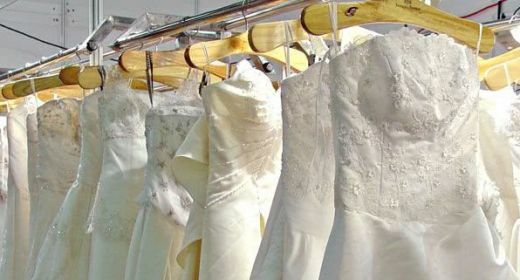 Most women decide to sell their wedding gown at some point. You’re never going to wear it again, and you probably assume your daughter will never wear it. There is nothing wrong with that. If you want to make some of your money back by selling your designer gown following your wedding, keeping it preserved gives you that option. Trust us when we say this is not something you’ll do right away. It might take you years to decide you want to sell your gown. It’s a sentimental piece of your life, and parting with it isn’t something on your to-do list right now. But one day, it might be. If this is in your future, you might decide you want to go ahead and see about making it happen. By preserving your gown, you can ensure it’s in mint condition. You can ask more for it, make another bride’s day, and know she’s getting something beautiful and impeccable. A lovely designer gown will increase in value with preservation, which is all you can ask for. A perfect gown goes up in value rather than down. Brides who want to buy your dress are willing to pay more for it when it’s been perfectly preserved with no stains or imperfections. That’s an investment right there. If the idea of loaning your gown to a friend or family member seems strange, remove that thought from your mind. It might seem strange, but you never know what might happen. 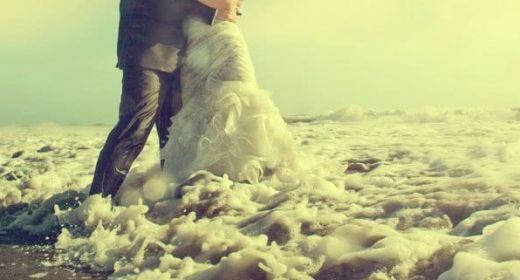 If there is a terrible natural disaster and your sister loses her gown to it just days before her wedding, how amazing will it feel to pull out your perfectly preserved gown so she has a dress to wear on the happiest day of her life following something awful? It’s not a farfetched idea, though we never want anything like that to happen. Another situation in which you might want to loan your gown to someone else occurs when someone is in need. How about the woman you meet at church who lost everything and needs a gown for her wedding? Or the woman who wants to wed the man of her dreams, but she must do it tomorrow before he is sent overseas for his job for a year? Preserving your gown can make you a hero. With the traditional wedding gown preservation kit, you’ll have a showpiece to remember your wedding day with. The cake only lasts a year in the fridge, and you’ll eat it on your anniversary. Your photos will last a lifetime in their own personal beauty, but they don’t give you the option to touch your gown and relieve the amazing memories that come along with dancing the night away in this lovely gown. With this kit, you can stare at your dress as often as you want. You can put your hands on it and have a tangible reminder of the happiest day of your life right in the palm of your hands. If that’s not what dreams are made of, we don’t know what dreams are made of. This is a perfect opportunity for you to create a living memory of something so lovely, and there’s no reason to pass this up. There’s an old saying that what you don’t know can’t hurt you, but that’s not true when it comes to your wedding gown. You might not realize it has deodorant stains on it, or that someone spilled a little something like white wine down the front as they hugged you on your wedding night. These stains are invisible, but they are damaging. Over time, they begin to cause your dress to deteriorate. The fabric of your gown was not meant to withstand the test of chemicals, additives, or anything else long-term, and it will begin to break down. Imagine opening your garment bag for your daughter one day only to realize the parabens in your deodorant caused the arms of your dress to deteriorate and break down. It’s a heartbreaking realization for many women when they one day open their gowns again, and it’s not one you must live with. You can preserve your gown by cleaning it to remove all invisible stains to preserve it for the rest of your life. Do yourself this favor. Did you know hanging your wedding gown can destroy it? It can make it difficult for you in the future. It will eventually begin to droop on the hanger, because the weight of the gown is not meant to spend decades supported by this. Your dress might easily stretch, and it can be devastating to you. What you get when you preserve your gown is a solid location in which to keep your dress. This keeps it from being exposed to moisture, which can cause yellowing. We even send you gloves with which to handle your gown to prevent it from becoming further damaged as you examine our work. Our goal is to ensure you don’t one day open your gown only to find it’s yellowed as the fabric aged with the elements or that it’s stretched with the hanger on which it sits. Our preservation boxes make this impossible. 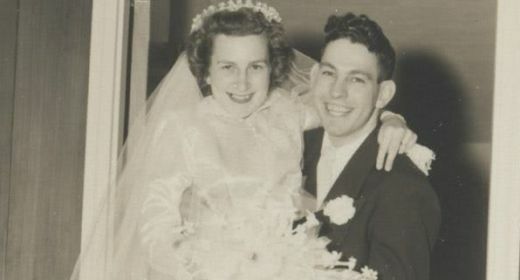 Our new wedding dress restoration package can even take your old gown and breathe new life into it, bringing it back to the same brilliance it had the day you were married. You know the impact everything you do has on the environment, and you’re probably very careful with what you do and use at home. We’ve had many brides forgo preserving their gowns simply because they are afraid the items used in the process will damage the environment and make the world a less lovely place. Our system is completely eco-friendly. You can have your gown preserved with us knowing what we use on it will not have any negative effect on the environment. 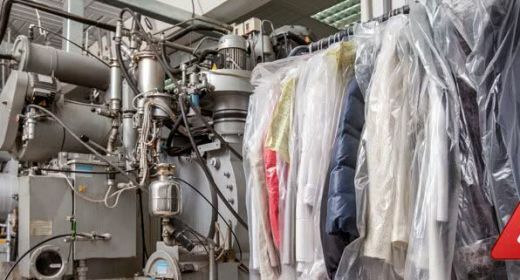 Other wedding gown preservation companies use something called Perc in their gown cleaning and preservation, but we don’t. It’s a hazardous chemical we don’t allow on our premises. Our system is designed to meet all the statutory environmental regulations, and it’s also free of any hazards to humans. It’s a system that works well for all who use it, and it will not do any damage to the environment. If this is your reason for not preserving your gown yet, it’s time to find a new reason – or just send us the gown to get the process started. Unlike other companies who want you to pay a small fortune to preserve your gown, we are affordable and trustworthy. You just got married, and we know a thing or two about weddings. We know they’re a little pricey, and your budget is probably blown two times over since you began planning. This is why it’s so important to us to offer you a system that allows you to preserve your gown at an affordable rate. We want you to know your gown is safe with us, and we want you to feel inclined to preserve it. You already spent more on this than any other item of clothing you have, and we want you to know you can keep it in perfect condition for the rest of your life without spending another fortune. Three million brides can’t be wrong, can they? They can’t, and that’s what makes us so good at what we do. We know our brides are concerned about their dress and its safety, and we work hard to ensure its kept perfect for the rest of your life. We know how important it is to you, so we focus on helping you order your kit and preserving your gown using the best method. Once you order the kit, we send you everything you need. This includes gloves with which to handle your gown, stickers to mark any and all known stains, and we send you an order number so you always know how to track your gown. The container is mailed to you right away so you can get your dress to us before much time has passed. Once we are finished preserving it, we send it back to you in perfect condition. We've helped millions of brides save the gown they love more than any other, and we want to help you with the same thing. All beautiful reasons to preserve your wedding gown, and there is no reason not to make the decision. In fact, you can preserve it for no other reason than to prolong the number of years you get to play dress-up in it when no one is home. It’s your gift to yourself, and it’s one worth every penny. It’s safe, affordable, and you know your gown is always safe with us.